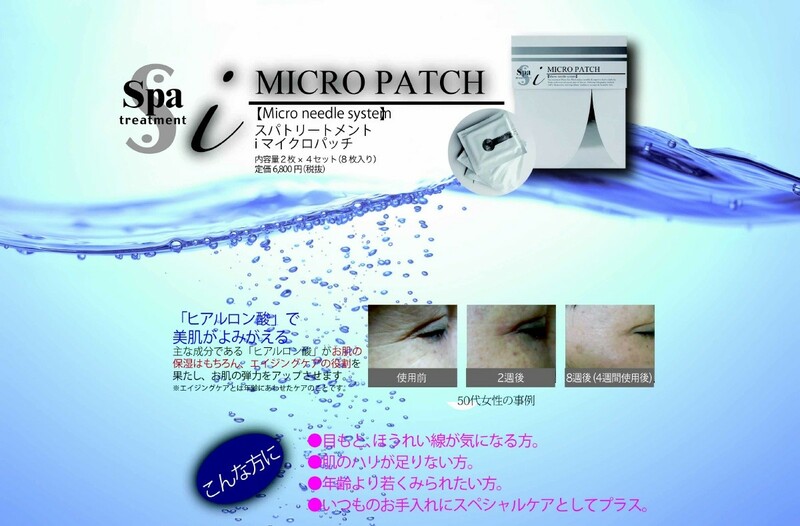 With the state-of-the-art <Micro Needle> method, Hyaluronic acid is takes its initial form of 250 micrometer so that thorough moisture reaches deep into the cuticles of the pores. 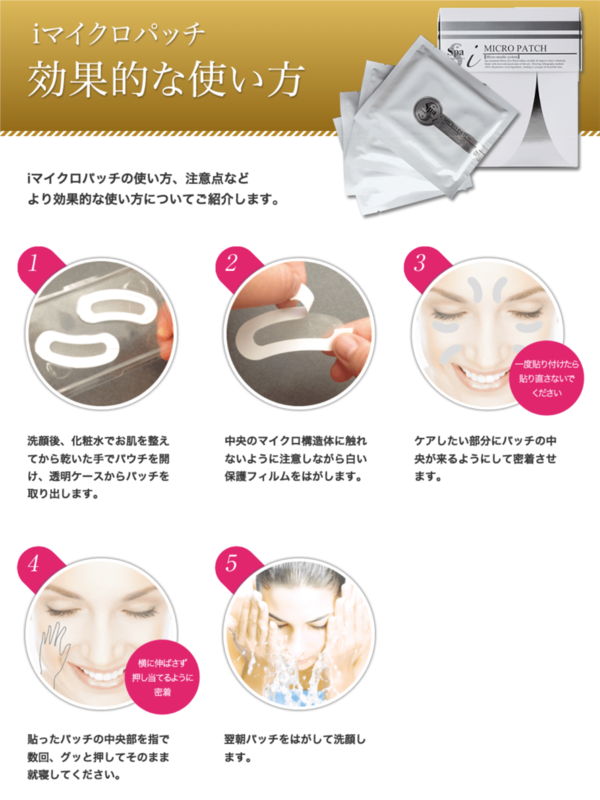 Feel the soft and elastic skin regenerate on the concerned areas of the skin under the eyes or so-called "Nasolabial Fold"
There might be countless items to look after the sagging of eye bags or so-called "Nasolabial Fold", and they could contain and feature very good ingredients and its combination. 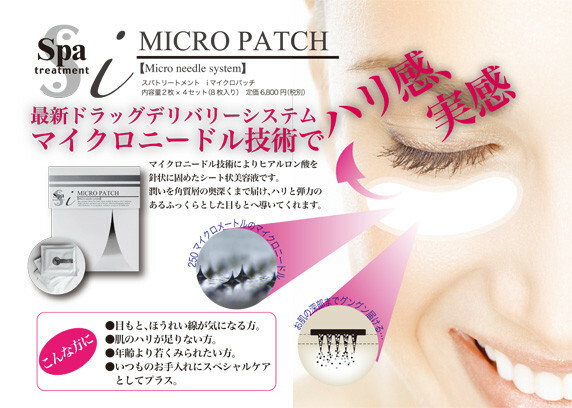 But if they do not reach where it is most needed? 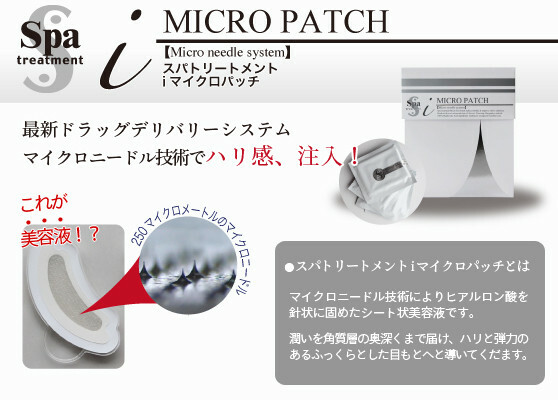 Beauty Injection without needles nor its pain, that is the initial concept for Hyaluronic needles. 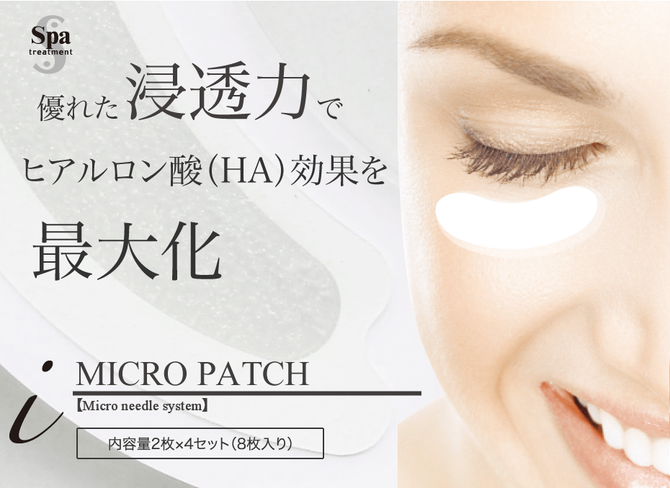 Buy putting the sheet of i-MICRO PATCH to the skin, those hyaluronic needles with its biodegradable form turns itself into the pure hyaluronic, and reaching the deep layer of cuticles. For Hyaluronic Acid to be able to be more effectively absorbed to the skin, its particles are further resolved to be HYDROLYZED SODIUM HYALURONATE, and therefore, it permeates deeply and thoroughly in the pores.